Home » On A Whim » Schumi….. Though late, but considering my laziness, it’s quite fine that this post is finally published!! Well, I can’t understand where should I start from. “Michael Schumacher” and “Formula 1” – The two terms were enough to drive me crazy since I was a little kid – strange, yet true! The race would be interesting for me only if Schumi won, else the race would be a boring one. That was my perception as a kiddo! Seven-time Formula 1 World Champion Michael Schumacher’s 90th victory was at the Italian Grand Prix on 10 september 2006. 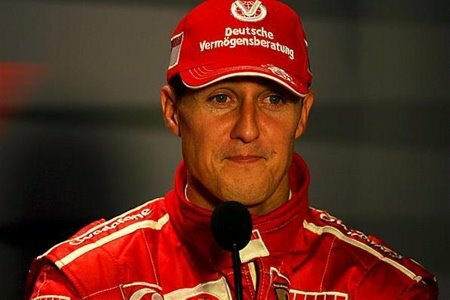 After winning, Schumi himself announced that he was going to retire from racing at the end of this season. He also mentioned that he will continue on with Ferrari in some capacity next year, although his position was not specified. He said that he is planning to use the remaining 3 races for capturing his 8th championship. Schumi’s F1 debut was at the 1991 Belgian Grand Prix. So, after almost 15 years of his enthralling and endearing performances, who wouldn’t miss him? He will be remembered for perhaps being the best, and possibly the most committed driver ever to grace this sport. His legacy will be that of a driver who stretched the rules to their limit and sometimes beyond in his quest for success. The records Schumi has set will probably never be broken!! At last, all I can say is….